Our Air Filtration and Duct Cleaning services will make sure you get a healthy flow of clean air to all parts of your home or workplace, and that your air conditioning system runs more efficiently while saving energy. Call Us Today: 760-449-4712. • Free Air Flow: Air Conditioning and HVAC systems are basically air pumps. Their efficiency depends on the amount of unrestricted air flow. 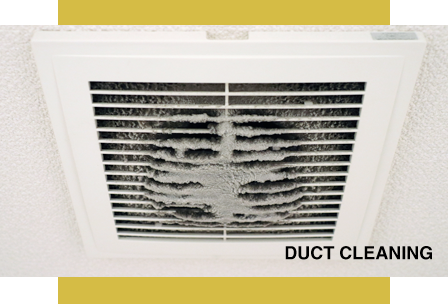 If your Air Conditioning system is not cooling or heating properly, the filter and/or ducting may be dirty. 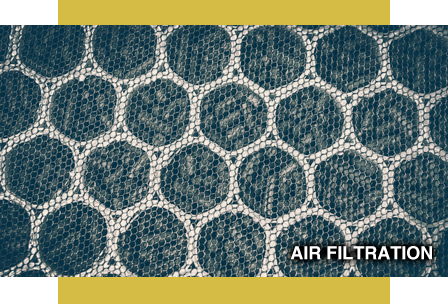 • Reduced Contamination: If anyone in your home or workplace is experiencing “allergy attacks” or other respiratory or skin ailments, or if the inside air just doesn’t seem to be as clean as you would like - poor air filtration and contaminant buildups in your ductwork could be the reasons. • Duct System Efficiency: In addition to assessing the cleanliness of the duct system, we will do an in-depth examination to identify any compromises to the structural components to ensure there are no air leaks bypassing your system’s filtration process. So whether your HVAC system simply requires a filter or duct cleaning services – or you want to install a complete air filtration system, we can provide the ideal solution for your needs. ● Highly-skilled technicians who tackle every job with superior expertise, speedy service and courtesy. All of them are certified and licensed. ● We fix problems quickly and efficiently. ● We guarantee your satisfaction whether the job is small or large. Regular maintenance is the key to lowering your utility costs while maintaining the efficiency, reliability and longevity of your equipment. ● A multi-point inspection of all electrical, mechanical, refrigeration and heating components. a service that you don’t need. ● Fast repairs to existing problems. ● Expert advice on how to keep your Air Conditioning system in top working order. ● Replacement Equipment for all your Air Conditioning needs. ● For Emergencies, we provide rapid responses 24 / 7 / 365.